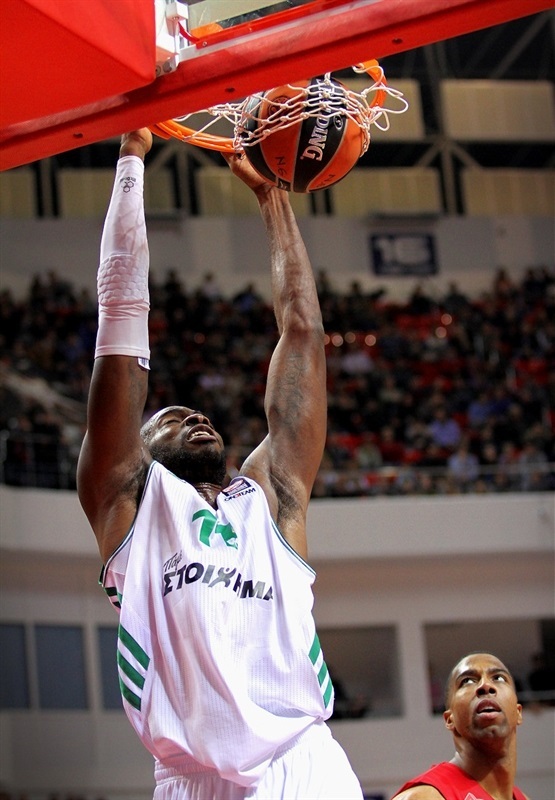 Panathinaikos Athens breezed past Lokomotiv Kuban 63-82 on Friday in Krasnodar, Russia, to breathe new life into the race for second place in Group D. The outcome knocked Lokomotiv out of contention for first place, which Maccabi Electra Tel Aviv clinched as a result of Lokomotiv’s loss. 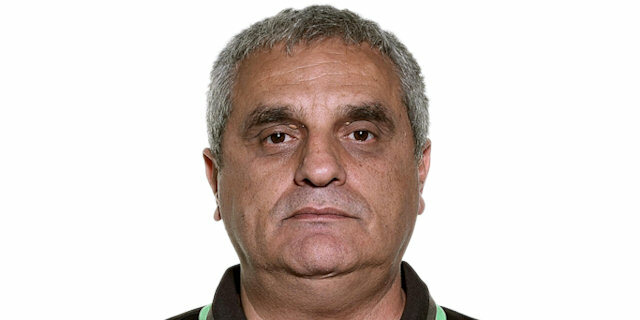 Panathinaikos improved to 5-4 – one win fewer than Lokomotiv – with second through fourth place in the group to be decided after next week’s games. A 2-20 run to finish the second quarter put Panathinaikos in total control, 30-46 at halftime, and the visitors – who made 14 of 23 three-pointers on the night – never looked back. 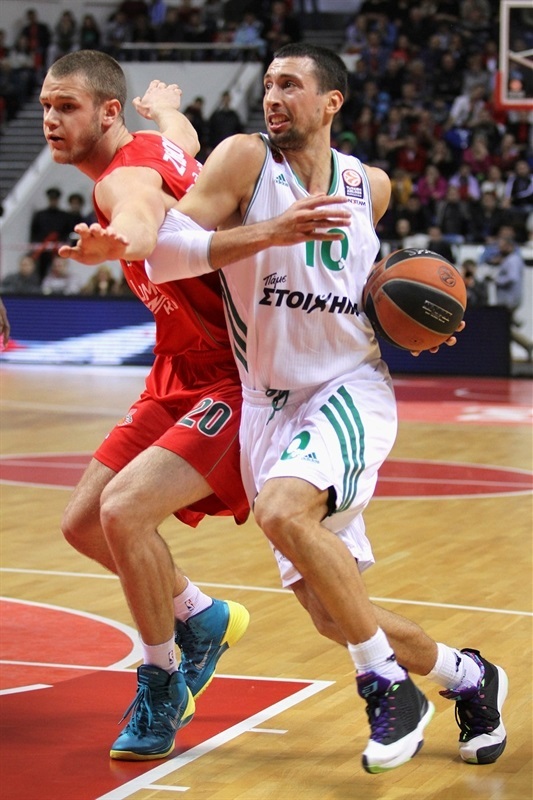 Antonis Fotsis and Roko Ukic led six scorers in double figures for the Greens with 17 points apiece. Ramel Curry added 13 points, Dimitris Diamantidis tallied 12 points, 7 assists and 3 steals, Mike Bramos netted 11 and Stephane Lasme 10. Fotsis, Curry, Diamantidis and Bramos each made at least 3 threes. 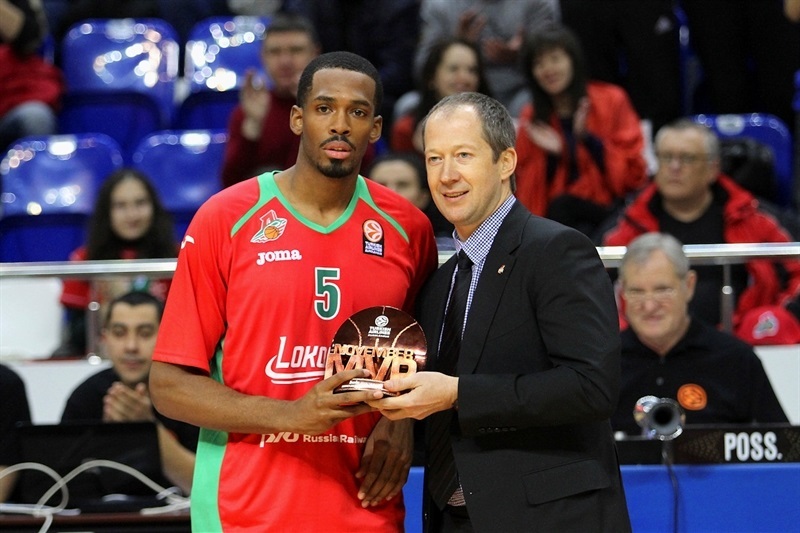 Simias Jasaitis paced Lokomotiv with 13 points and Derrick Brown, who received his bwin MVP for November trophy before tip-off, was held to 8 in defeat. On the opening three possessions for the visitors, Michael Bramos drove for a layup, Ukic made a mid-range jumper, and Lasme muscled his way for a layup and a 0-6 lead. After Richard Hendrix opened the hosts’ account from close range, Mantas Kalnietis and Ukic traded driving layups, before Kalnietis hit a short jumper. Both teams went inside to their big men often, as Hendrix and Lasme each made another basket, 8-10. Bramos hit the first three-pointer of the game, and after Jasaitis answered with a layup, Ukic dribbled his way to a floater and an 11-15 edge. 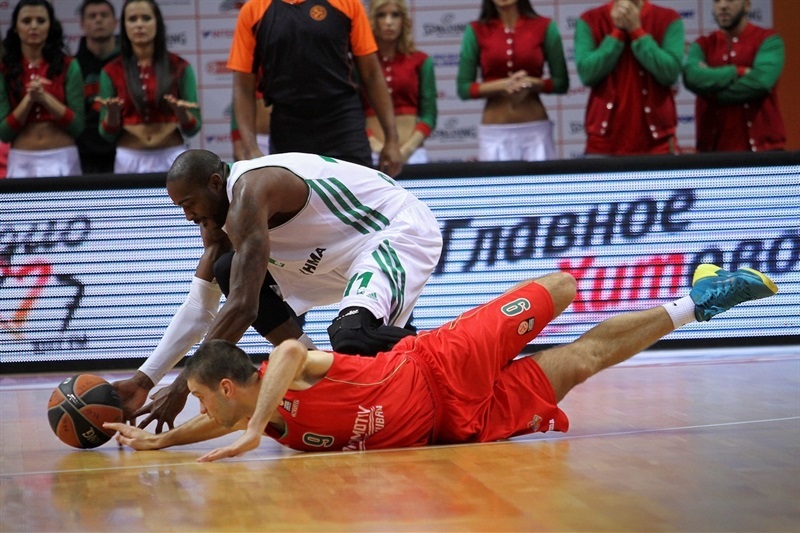 Jasaitis sank a corner triple, Lokomotiv’s first of the night, but Diamantidis answered with a triple of his own. Jasaitis made another three-pointer on a breakaway, and Aleks Maric banked in a little hook-shot for the hosts’ first lead of the night, 20-18. In the final 30 seconds of the quarter, Fotsis nailed a triple from the left corner, before Jasaitis hit his third shot behind the arc for 23-21 at the end of the first quarter. Fotsis opened the second quarter with a pair of free throws, and neither team scored for almost three minutes before Marcus Williams assisted Valeriy Likhodey for an easy layup, and Curry drove to the hoop on the other end, 25-25. The Greens went in front with a three-point-play from Fotsis, before a fastbreak layup from Curry, and a top-of-the-key triple from Diamantidis made it 25-33. After a timeout, Hendrix snapped a 0-10 run, but Fotsis buried his second three-pointer and Diamantidis drove for a layup-plus-foul. Lasme’s baseline jumper and a dunk extended it to 27-43. Lokomotiv snapped anther 0-10 run with free throws from Hendrix and Krunoslav Simon, but Diamantidis ended the half with a high-arching triple for 30-46 halftime lead. Maxim Grigoryev opened the second-half scoring with a bucket inside, but Bramos kept the Greens rolling with his second three. Kalnietis assisted Hendrix and then drove for a layup of his own. However Ukic posted up for a score, Fotsis connected on his third triple and Ukic cruised in for a layup and a 20-point lead. Gist soared for a block of Grigoryev as the visitors stamped their control on the game. Brown hit a long jumper, but Gist matched him from practically the same spot. Ukic extended the lead to 38-60. Grigoryev free throws and then a pair of baskets from Brown – a bank shot and a vicious one-handed jam – brought cheers from the stands. After a timeout, Curry drilled a three and Ukic another to leave the visitors in total control, 44-66, through three quarters. Brown continued trying to revive the hosts with a mid-range jumper before Grigoryev split free throws. Fotsis countered with a deep three to beat the 24-second clock. 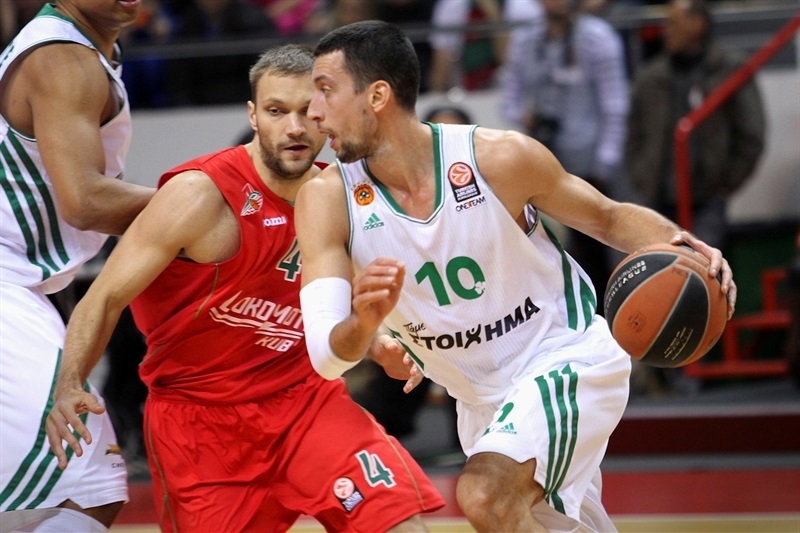 Grigoryev hit a three and Jasaitis scored inside, but a Lasme slam kept Panathinaikos in charge. 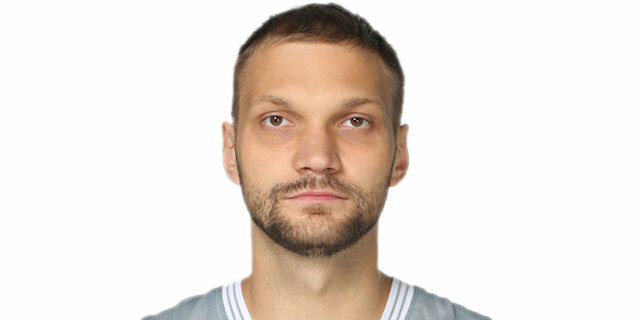 Andrey Zubkov came in and sank a three to make it 55-74 midway through the quarter. Teenage big man Igor Kanygin came for his Euroleague debut and soon scored his first points. Valeriy Likhodey nailed a three, but Panathinaikos remained firmly in control and a Bramos three with two minutes left made it 60-82 and essentially sealed the outcome. Vasileios Charalampopoulos debuted in the closing minutes for Panathinaikos before Likhodey wrapped the game with a three. "We didn't show our level today. Only in the first and the fourth quarter did we play like we should. I'm happy for our young players Grigoryev and Zubkov, who were really energized on the floor, though it was impossible for them to get back into the game. Our point guards, Grigoryev aside, were terrible today. You can't commit 6 turnovers running the team. The point guard is the brains of the team. Today we played with no brains." "That was a good game for us. We relied on our defense, though in the first quarter we had some problems on that end and allowed some open Jasitis threes. They are very good in the early offense. In the third we stepped up on offense and most importantly were able to limit Lokomotiv's passing game, the most dangerous component of their offense as they are second in Euroleague in that category. On the other end we moved the ball and got many players involved and that made the difference. 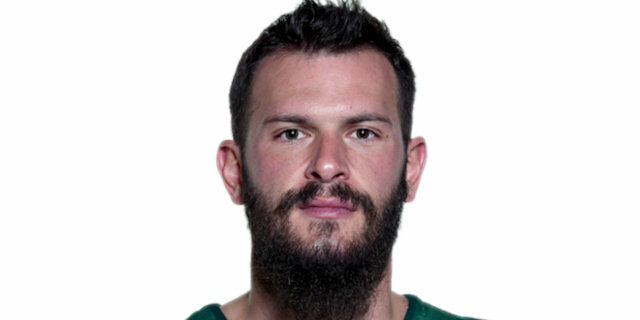 I'm happy with this win and want to wish Lokomotiv all the best." "I want to apologize for this game. We've failed our fans. We didn't play our style of basketball, that's for sure. What we need to understand now is to how fix the state of our team. Two of our last losses, including the VTB League game, were by double digits. We will do our best to stop this losing streak. " "That was a hugely important win for us. We're able now to see the result of the work we do at practice; that's the most important result of this game."